The Free Multipurpose Blog WordPress Theme is a beautiful and minimal blog theme designed specifically for bloggers. 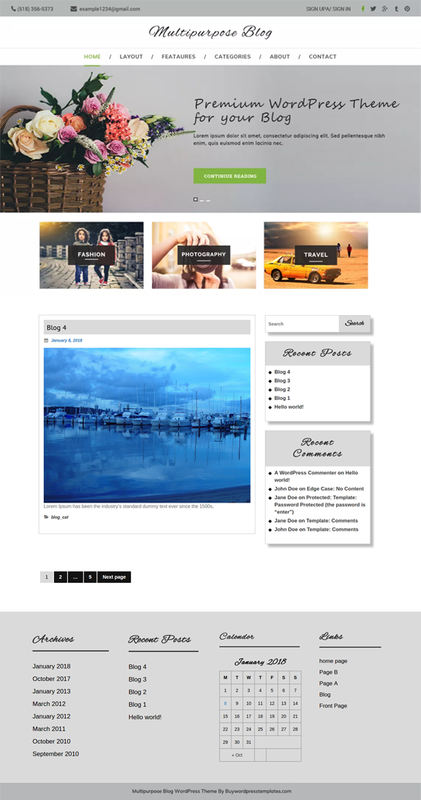 This free multipurpose blog WordPress theme allows you to make blogs for photography, food, fashion, lifestyle, magazines and so on. 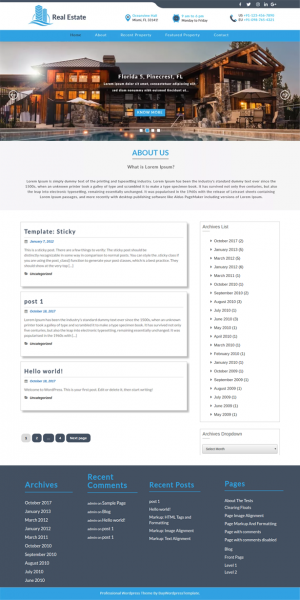 It is a powerful blog theme with plenty of features, user-friendly customization, and personalization options. It includes features such as quick page speed, mobile-friendly design, cross-browser compatibility, SEO friendly and translation ready. It has a large slider with a banner that has a Call to Action Button (CTA) to attract the visitors. It is compatible with WooCommerce and features a beautiful inner and homepage layouts for products, posts, and pages. It is made with secure codes and you can even enable disable sections as per your wish. This minimal blog theme is based on Bootstrap 4 framework which enhances the speed of development. This theme is just a baby compared to our premium ones. Setting up a beautiful looking blog with a premium theme will see an ocean of difference in how your website would function. Your websites would transcend into a high popularity with the amazing design and beautiful blog section with feature HD images and videos. You can stick with the free simple WordPress blog theme but to truly attain a professional feel and look, you have to get yourself an upgrade. So hurry up! 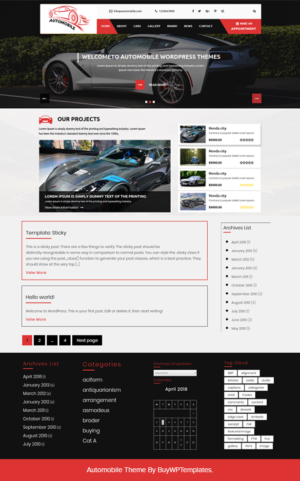 Give your website the much-needed upgrade and purchase our superior premium theme now.